Scheduling and taking the Massachusetts real estate exam is overwhelming for some but should be (and is) a very simple process. Click here to schedule your exam date. Let’s start with scheduling an exam date. There are a couple of testing centers across the Commonwealth to choose from. You will choose the time and location when you register for the exam. You will be informed of all the requirements by the testing company so if anything in this article is unclear, don’t panic. When you show up to take the exam make sure you have at least 2 forms of identification and you bring the stamped Candidate Handbook you received from the school where you completed the course. IMPORTANT: Inside the Candidate Handbook there are a few additional forms that you need to have filled out in advance of taking the exam. One of the forms requires that you sign it in the presence of a notary, so be sure to give yourself enough time to get that done before your take the exam. You will need to bring the completed Candidtae Handbook with you to the exam. You CANNOT sit for the exam unless you have completed all of the necessary forms in the Candidate Hanbdook. Upon completing the exam you will find out immediately if you passed. Congratulations, you are now a board certified real estate agent and it’s time to officially begin a career in real estate! Looking for a real estate job in Boston? 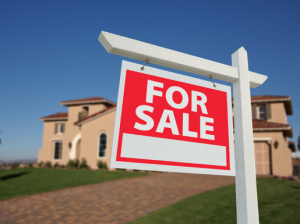 Keep Me Certified is connected with many reputable brokerages in and around the greater Boston area. If you took our pre-licensure exam prep course we would be happy to help connect you with them. 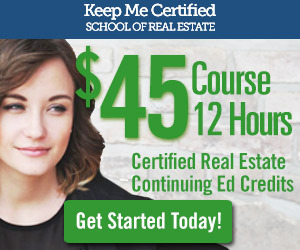 Best of luck and when it comes time to renew your real estate license (every 2 years), Keep Me Certified also offers the 12-hour continuing ed course online where you complete the credits you need at your convenience.